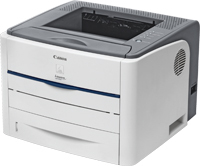 Canon i-SENSYS LBP-3300 Printer Driver & Software for Microsoft Windows and Macintosh .. Disconnect the USB cable that connects the device and computer before installing the driver. Connect the USB cable after installing the driver. 1. To download files, click the file link, click [Accept & Download], then select [Save] and specify the directory where you want to save the file. Click [Save] to start the file download. 4. Double-click the decompressed Setup.exe file to start installation.